The number one reason employees cite for leaving a job is to get away from their boss. And yet, when many leaders look for ways to improve their leadership style, they find themselves hitting a wall. In fact, around 40% of people are not helped by leadership development training — even when it includes a 360-degree feedback process in which subordinates, colleagues, and supervisors give their feedback of a leader. Why? One reason is we focus disproportionately on the behaviors of good leaders: swift decision-making, clear communication, and a solid strategy, for example. But while it’s great to point to model leadership examples, these may not get to the heart of the problem. Sometimes leaders alienate their employees without even knowing what they’re doing wrong. Such behaviors could be driving employees crazy and even leading to attrition within the team. To help rectify that, let’s review five leadership behaviors that might be harming your team without you even noticing. Bad leadership behavior 1: You fail to lean on your team. Being promoted to a leadership position will naturally change a person’s job. But too many leaders get swept up in the newfound power of the position. They end up losing sight of the hard work and qualities that got them there in the first place, and not fully appreciating these values in their employees. The best leaders are able to trust their employees, lean on them when necessary, and respect their opinions. Employees who feel their voice is heard while on the job are nearly five times more likely to feel empowered to perform their best work. This also highlights the importance of communication between the leader and the team. 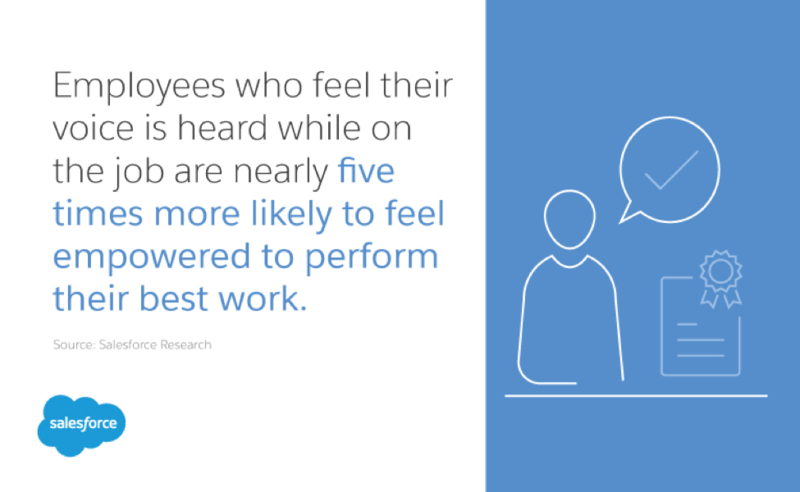 But while you should trust employees to do their jobs well, you shouldn’t be radio silent when it comes to feedback. Team members need to know when they’re doing a good job, and as such, positive reinforcement and constructive feedback are essential. Bad leadership behavior 2: You focus too much on the bottom line. One thing decides the success or failure of a business, and that’s the financial bottom line. However, when leaders measure success solely on quantifiable results, they risk missing out on a lot of other things that can boost a business, even if the results are harder to track. For example, 80% of both customers and employees believe businesses have a responsibility to make a positive impact on society. 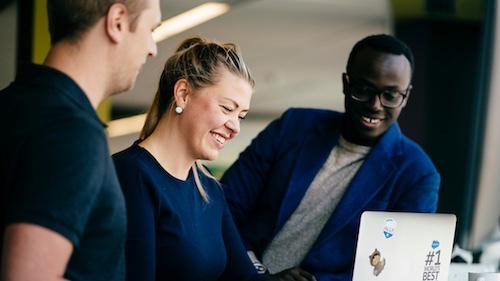 Focusing on initiatives based around social impact may not at first seem to have much measurable benefits, but it is something that both customers and employees are looking for. Give employees opportunities to volunteer or give back to their communities, and regularly celebrate nonquantifiable successes such as positive interactions with customers. This will ultimately earn more customers, increase employee retention rates, strengthen your brand, and also increase your team’s loyalty to you as a leader. Bad leadership behavior 3: You neglect the importance of employee engagement. To avoid low engagement rates, regularly track engagement with one-on-one conversations and employee surveys. Follow up with those who feel disengaged. 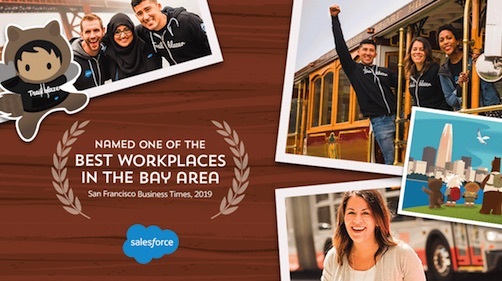 Also, be sure to provide opportunities for all team members to grow and expand their positions; employees who say their company provides equal opportunities are nearly four times more likely to say they are proud to work for their company. Bad leadership behavior 4: You lack flexibility. As a leader, processes and policies are a huge part of your strategy. All of these things help to set and achieve business goals. However, if there is one thing that’s certain when it comes to business forecasting, it’s that nothing is certain. That’s why the best leaders need to be flexible. They’re not afraid to cut losses and change direction when something isn’t working. Unexpected problems and challenges arise on a near-daily basis. A good leader tries to anticipate them, but is still ready to tackle unexpected problems head on. Sometimes the best thing for a project is when leaders shift directions creatively, even if it deviates from their original concept. Find ways to encourage flexibility among your employees, and show them that you’re open to new directions when necessary. Its also a best practice to be flexible with your employees’ schedules. Just as the unexpected arises in business, the same goes for our personal lives. Be understanding when employees need a little extra time off or a late start due to unforeseen personal challenges. In exchange for your flexible attitude, employees will reward you with their loyalty. Bad leadership behavior 5: You relying on outdated technology. Your team members can do their best work when they’re empowered with the latest and greatest technology. You might be doing everything right personally as a leader, but outdated tech might restrict what your team can accomplish. New tech solutions can aid collaboration with your team, as well as between departments. Technology can help you track employee engagement and results, and ultimately boost productivity. Prune the bad behaviors to gain trust. 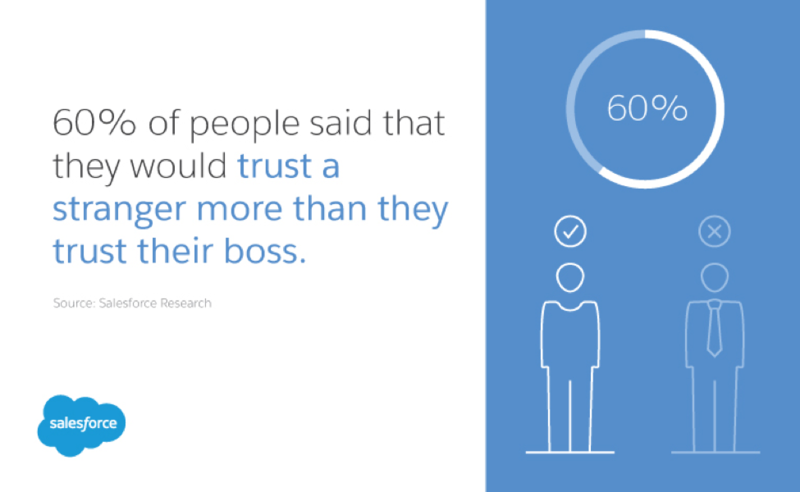 In a recent survey, 60% of people said that they would trust a stranger more than they trust their boss. For any good leader, this kind of a response should be a major concern. If you want to avoid being an ineffective leader, instead of looking for qualities you need to adopt, take a step back and analyze how you can prune these ill-advised behaviors from your day-to-day work. Some of these habits might be seeping into your leadership style without you even knowing, so do a clear-eyed self-assessment now. A good leader is always looking for ways to improve, so consider asking employees for further feedback.